NEWS: Suzuki Jimmy On Sale In UK January 2019, from £15,499. Take Our Money! 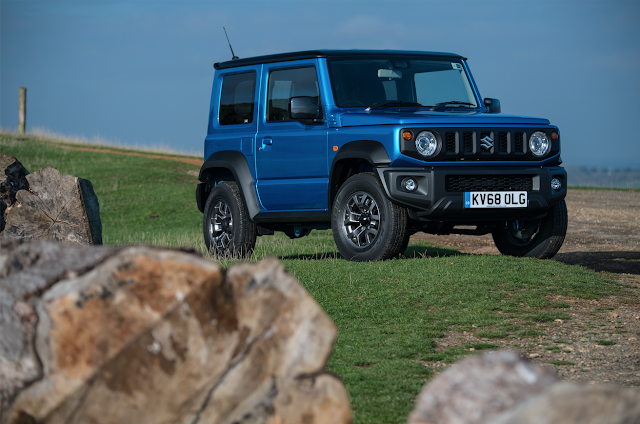 One of the most hotly-anticipated cars for a long while in this office has been the the all-new Suzuki Jimny. And it's going on sale here in the UK, from January 2019, with two models at launch – the SZ4 priced at £15,499 and all-new spec SZ5, priced at £17,999 with manual transmission and £18,999 with automatic transmission. With an almost unprecedented 4x4 heritage (and an unreal total cumulative global sales of 2,854,000 units!) dating way back to when Nixon invaded Cambodia as the Vietnam war raged on and the Beatles broke up (1970 history fans), the simple, robust, capable, no frills and incredible fun (& like all the best things, flawed) Jimny is a car we utterly adore. Character by the bucket load, which so many cars lack. 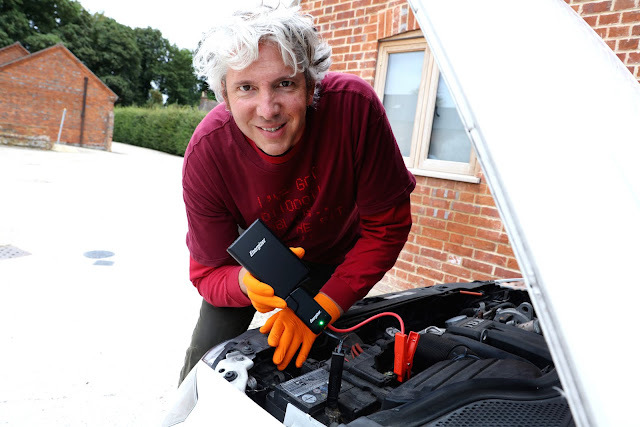 And when the images broke of the new (forth generation) car, we were super excited – not just because it's seriously cool, but it's managed to maintain the look and mojo of the original, whilst bringing it bang up to date, visually, mechanically & technologically... without losing it's Jimny-ness, we pray! There's certainly good signs of that aplenty – as new Jimny has kept its traditional Ladder-frame chassis for optimum off-road performance, whilst boosting body frame torsional rigidity (now 1.5 times higher than previous model), which further serves to enhance both on and off road performance (ALLGRIP ‘PRO’ selectable four-wheel drive fitted as standard equipment). And new Jimny is 30mm shorter in overall length, 45mm wider and 20mm higher than previous model, so it's kept its unusually squat & tall shape, high ride height, low overhangs & diminutive Defender dims... with 4x4 credibility and ability. And there's real progress (or what's the point, right? 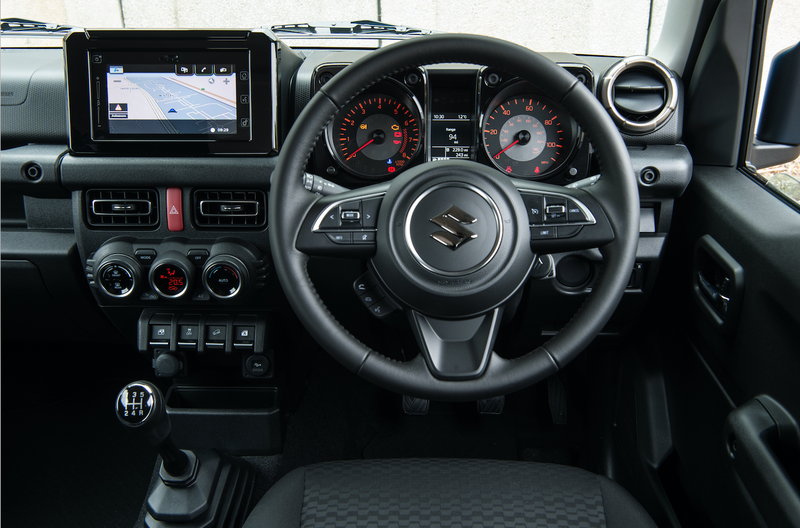 ), with Suzuki saying this is there "most technically advanced Jimny model available with Dual Sensor Brake Support, Hill Descent Control, Lane Departure Warning, six airbags, and High Beam Assist all fitted as standard equipment, with SZ5 grade features LED headlights as standard." There's also a typically Suzuki generous high standard specification for SZ4 to include air conditioning, cruise control, Dual Sensor Brake Support, CD player with DAB Radio, Bluetooth connectivity and front foglamps. And the SZ5 adds 15-inch alloy wheels, rear privacy glass, Climate Control, Navigation system with Smartphone Link and heated front seats. The Jimmy is going to be powered by new 1.5-litre four-cylinder petrol engine with an output of 101PS – now of lightweight construction for improved fuel efficiency. So we can even expect new Jimny to be fast enough for normal on-road overtakes, which would be novel (bless!). 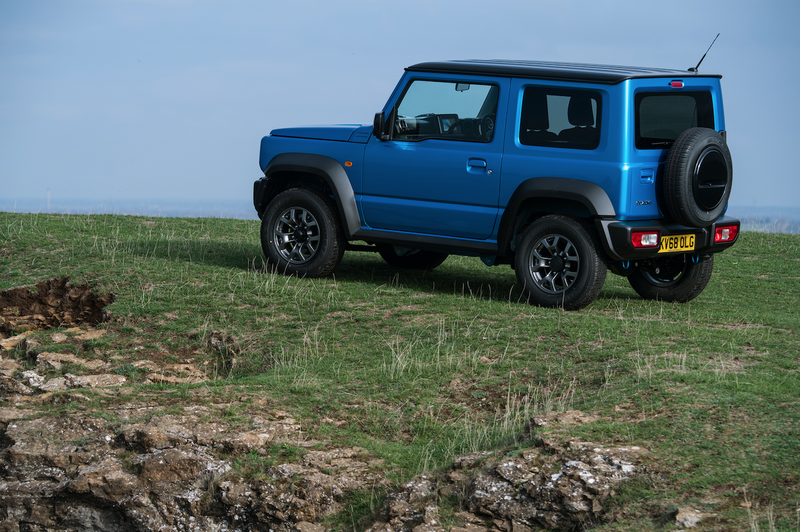 When two wheels diagonal from each other loose traction, the Jimny’s new design brake LSD traction control automatically brakes the slipping wheels to redistribute torque to the other side and allow the vehicle to gain traction. It all sounds too good to be true & we can't wait to test it/buy it!